A powerful detoxification protocol with ancient roots from deep in the Amazon, Kambo increases the body's natural ability to heal itself by eliminating toxins through the lymphatic system and fortifying the immune system. It has shown efficacy in treating a wide variety of ailments and can increase vitality in both body and mind. People who have found benefits from this 'warrior cleanse' range from athletes and entrepreneurs to people suffering from depression, emotional blockages and chronic pain (read benefits, below). Kambo Cleanse Me is the cooperative effort of IAKP Certified Practitioners Jordan Ryan and Andrew Snope. Realizing the benefits of Kambo cleanse through our own personal experiences, we feel called to share this healing modality with others in our community. Together we are working with many different types of people to make this deep cleanse available in a safe and secure environment. We offer introductory sessions to anyone who feels Kambo may be a beneficial experience for them as well as longer term and targeted treatments to deal with specific issues. To inquire about individual, group sessions, or options regarding long term treatments please contact us at kambocleanseme@gmail.com. A powerful detoxification protocol with ancient roots from deep in the Amazon, Kambo increases the body's natural ability to heal itself by eliminating toxins through the lymphatic system and fortifying the immune system. It has been reported as being helpful for of a wide variety of ailments and can increase vitality in both body and mind. People who have found benefits from this 'warrior cleanse' range from athletes and entrepreneurs to people suffering from depression, emotional blockages, chronic pain, and addictions (read benefits, below). Kambo Cleanse Me is the cooperative effort of IAKP Certified Practitioners Jordan Ryan and Andrew Snope. Realizing the benefits of Kambo cleanse through our own personal experiences, we feel called to share this healing modality with others in our community. Together we are working with many different types of people to make this deep cleanse available in a safe and secure environment. We offer introductory sessions to anyone who feels Kambo may be a beneficial experience for them as well as longer term and targeted sessions to deal with specific issues. To inquire about individual, group sessions, or options regarding long term sessions please contact us at kambocleanseme@gmail.com. What are the benefits of receiving Kambo? Kambo has been shown to be effective in increasing energy levels and focus, improving endurance and restoring vitality on both physical and mental levels. It has been used to aid in recovery from a variety of specific conditions such as depression, anxiety, autoimmune disorders, parasites, chronic bacterial or viral infections, Lyme disease, addictions, and chronic pain. It is important to note that Kambo is not a panacea, nor a cure but instead acts to potentiate your body's natural ability to heal itself. 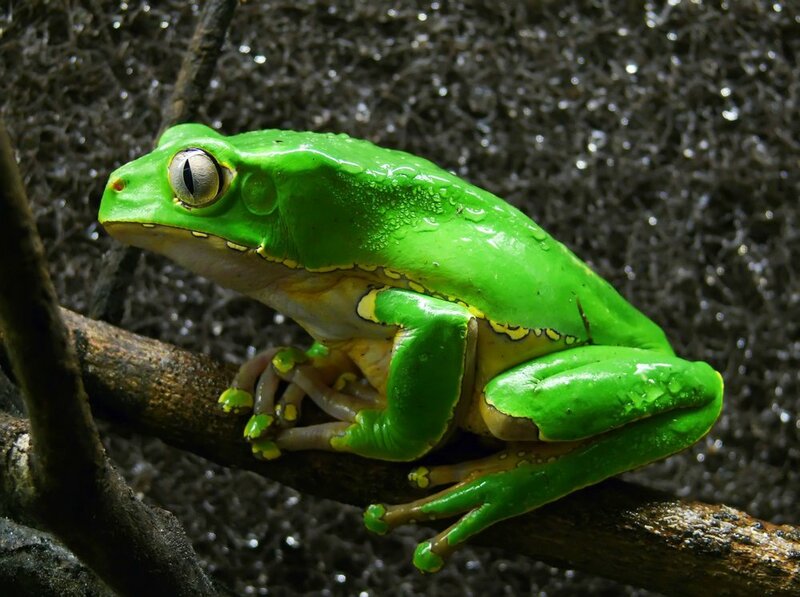 Kambo is a secretion from a common tree frog found in large swaths of the Amazon forest that contains a combination of bio-active peptides. When applied to a secondary layer of epidermis, the peptides are quickly absorbed through the lymphatic system and act to activate the natural healing processes of your own body by triggering a release of built up toxins through a physical purge. The process is considered 'an ordeal' and typically lasts from 20 to 40 minutes although the secretion may be removed from the skin at any time, interrupting the progression. Kambo is considered to be one of the strongest natural ways to fortify the immune system and is one of the world's most powerful anti-inflammatory, antimicrobial, antibiotic, and anesthetic substances. After a short consultation to determine if Kambo will potentially benefit you, we will schedule an application in a group or individual setting. You will receive instructions for the day of the event and asked to please abstain from alcohol and recreational drugs for at least 24 hours to not interfere with the experience. You will need to bring 2 liters of water, a blanket or sweater, and a change of clothes. Upon arrival we will hold a short Q and A to answer any questions you may have prior to the application. We will open the circle with an intention setting and expression of gratitude. Sananga eye drops, which produce a strong capsaicin-like sensation in the eyes, are offered as an supplement to the experience. Many people find Sananga to work well in conjunction with Kambo and consider it a grounding experience. The only established way for Kambo to be taken is transdermally or thru the skin. When you are ready, 3 or more small dots on your upper arm, ankle, or preferred spot will be burned with an incense stick in order to peel the top layer of epidermis. The Kambo is then mixed with water to form a gel and a single test point will be applied to assess your response and sensitivity. When the sensation has passed, additional points will be added. Kambo is non-psychoactive or psychedelic. The effects are physical in nature and vary from experience to experience. After the strong effects have passed and the Kambo is removed, you may want to lay down and rest for a bit. We will dress the points with an antimicrobial sap to ensure the skin heals quickly. With proper care it is possible that no visible mark will be left after healing however this varies from person to person based on individual skin qualities. You should consider that some degree of mark may be left permanently when considering if this is the right option for you and when considering placement of the points. After a brief rest we will serve tea with honey and snacks to restore your equilibrium and you will be free to share your experience with others if you feel the desire to do so. It is recommended (but not required) to be gentle with yourself for at least the day of the application and to get adequate rest to allow the body to recover. Many of the benefits of Kambo are realized in the days following the actual application. Receiving kambo is very safe when given by a properly trained professional however it is important to be aware of the risk of hyponatremia (electrolyte imbalance from over consumption of water) and limit water intake to the prescribed amounts before and during the process. Following some simple guidelines will eliminate any risk associated with over consumption of water. Contact us at kambocleanseme@gmail.com, or text (912)856-4448 to inquire about individual or group sessions. Visit our events page to see upcoming circles being held in various locations. Private sessions, including consultations, for those who would prefer the privacy of their own home or have severe conditions that may benefit from multiple applications are offered at $200 per session and circles are offered at $125 per person. Reduced rates are available for multiple sessions.